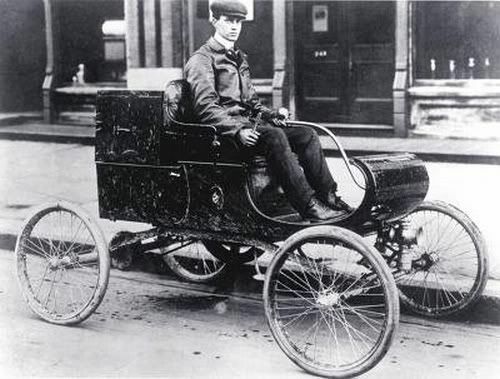 The very earliest manufacturers of automobiles and trucks in America did not initially display clearly visible logos or other insignia that would advertise their products, even though some of the earliest companies that entered the motor vehicle manufacturing market already had distinctive company logos, which were used for advertising, brochures and company letterheads. The application of insignia on motor vehicles that clearly and prominently displayed the name of the manufacturer or the vehicle itself came some years later as competition for business began to grow. 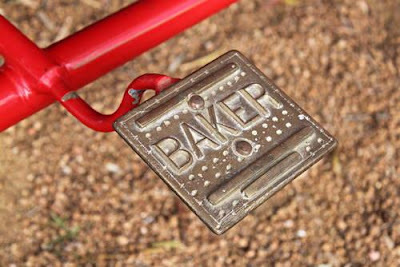 The manufacture of bicycles had become a highly competitive industry before the introduction of motor vehicles and bicycle manufacturers attached brightly colored metal emblems or decals to the headstocks of their bicycles to advertise their products. The largest bicycle manufacturers moved into the automotive business but initially did not use the same kind of emblems on their motor vehicles. Stationary engines had been in serial production for some time previously and engine manufacturers attached serial plates to their products to identify the engine type and production number. 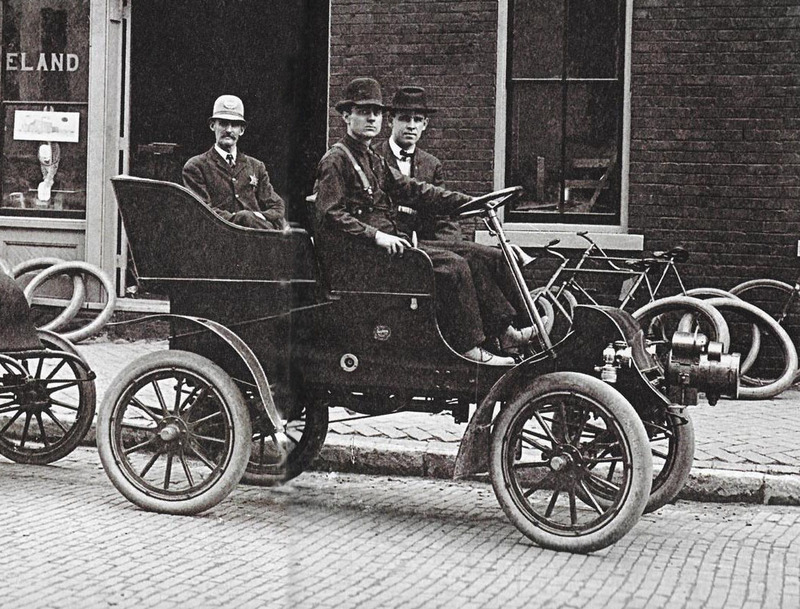 As serial production of motor vehicles developed, similar plates, which showed the manufacturer’s name and an individual vehicle model or number, were introduced and were attached either outside on the vehicle body or inside on the dashboard or, from around 1907, under the hood. 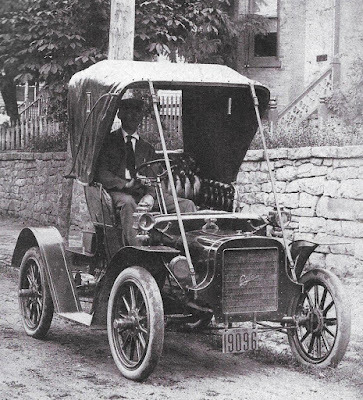 However, some manufacturers of early automobiles also displayed their name on step plates and sill plates beside or under the passenger doors or the rear entrance to the vehicle. Examples of early uses of these styles of nameplates include Winton, which had a named brass sill plate as early as 1899 and the St Louis Motor Carriage Company from about 1900. The rear step plate on the 1903 Model A Cadillac displayed the company monogram and the 1903 Hoffman carried a named step plate, as did several other manufacturers. 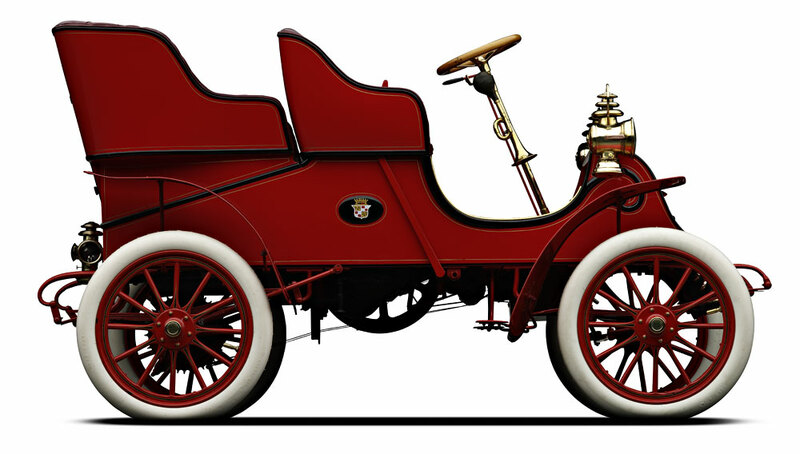 Probably the first use of an emblem on a motor vehicle in serial production in America was the colored decal used from 1901 on the curved dash Oldsmobile, which continued on Oldsmobile models up to 1905. Similarly, small colored decals were used by both Ford and Cadillac for their 1903 models, although not all photos taken at the time show the decal, perhaps because these were added at extra cost. 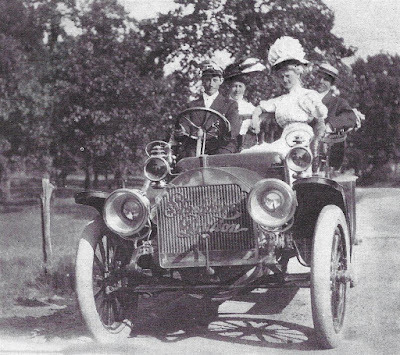 Cadillac had a policy in 1903 not to include any accessories. This may have included the side decal. The Orient Buckboard and light vehicles made by the Michigan Automobile Company also carried colored decals from 1903. In 1906, Knox registered a patent for a decal, which they claimed had been in use on their motor vehicles since 1904. 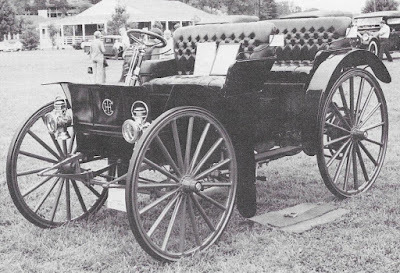 Jackson had a side panel in 1904, which most likely carried a decal. 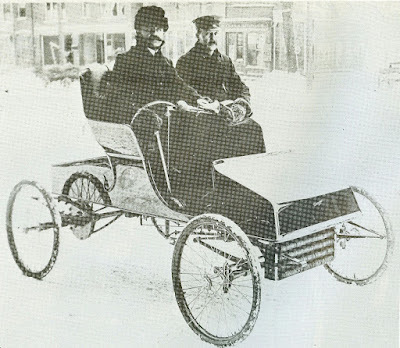 The Luverne motor car had a decal on the side in 1905, Elmore and Reo were using body side decals in 1906 and the Auto-Bug displayed a decal on the front of the dash in 1909. 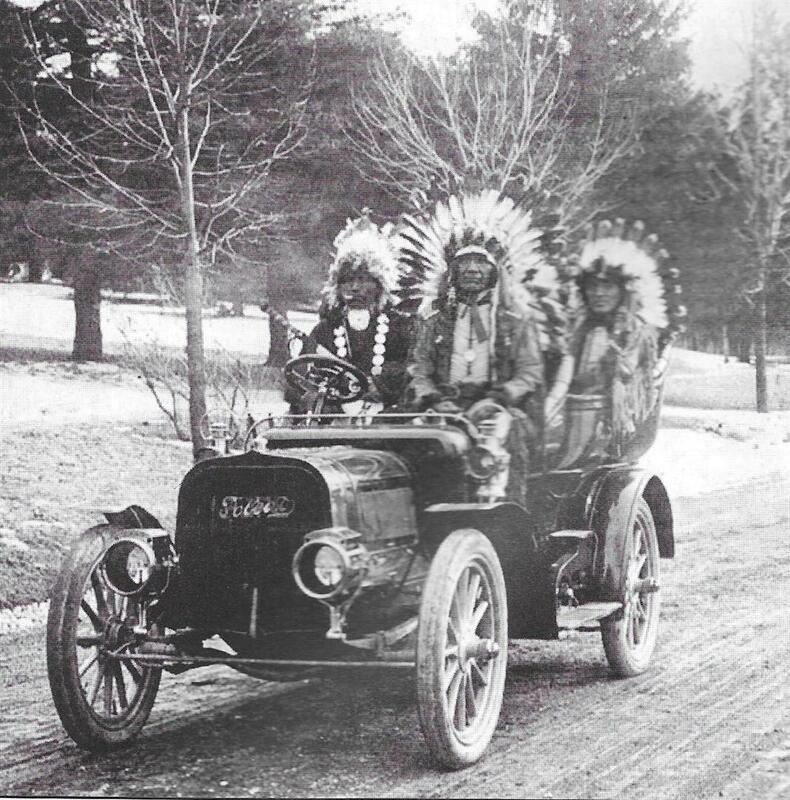 Initially, early motor vehicles were somewhat of a novelty and attracted attention wherever they went. However, as motor vehicles became more widely used, vehicle manufacturers recognized the need to display their name more obviously and large brass scripts showing the vehicle name began to be attached to the radiator core on the front of the motor vehicle. 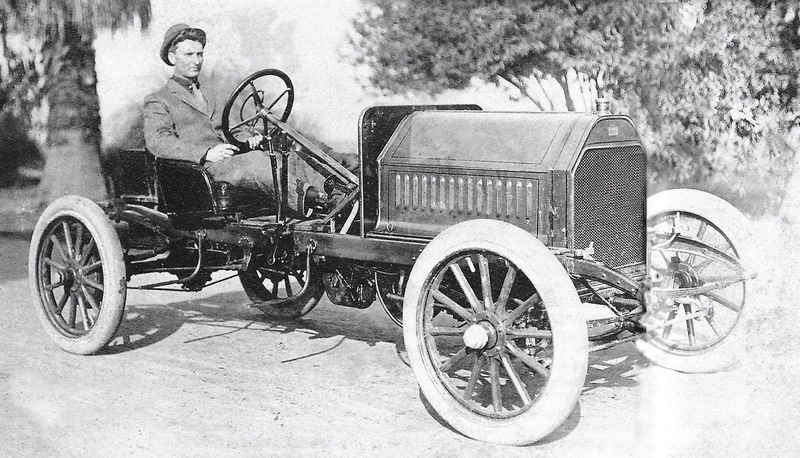 The earliest brass scripts were introduced on American cars and trucks from about 1905 and were commonplace by 1909. As had been the case for bicycles, it followed that metal emblems, usually in brass, sometimes painted and showing the vehicle name or logo, also began to appear on motor vehicles, usually attached to the radiator using solder, pins or screws, or simply impressed into the front of the radiator tank top. 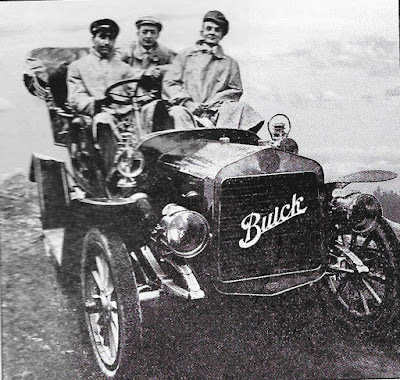 It is difficult to identify with certainty the earliest use of the radiator script or emblem, as there appears to be no authoritative written evidence and the only reliable means of proving this is from original photographs of early motor vehicles taken at the time, or factory illustrations. 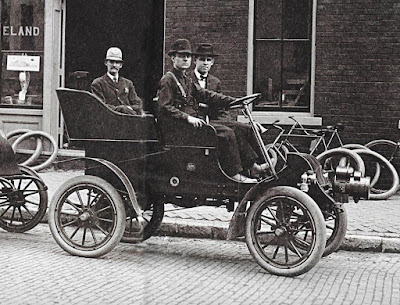 Later photographs and vehicles in museums or owned by collectors must be treated with caution, as many of these have had restoration work over the years and brass scripts and radiator emblems may have been added many years after the date of manufacture of the vehicle itself. 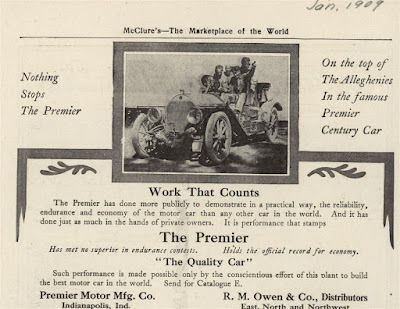 Automobile advertisements and brochures published at the time can also help in dating the introduction of script or emblems but are not always wholly reliable. 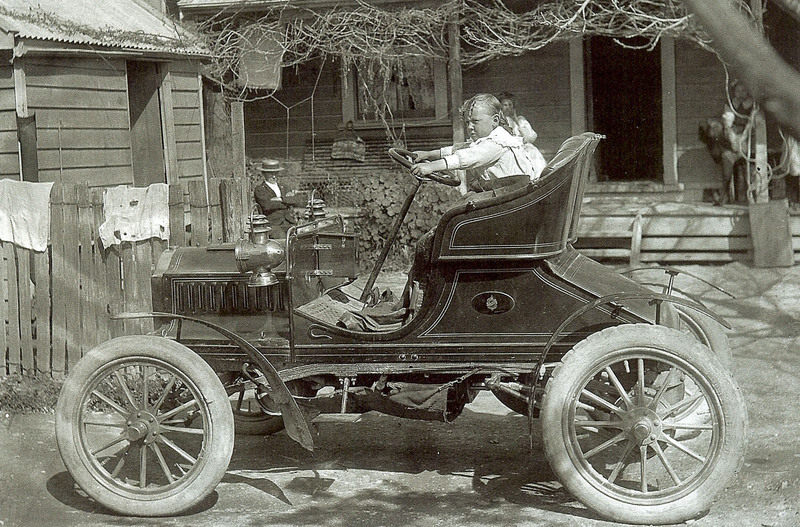 Examples of the early use of brass script displayed on the radiator core shown in original photographs, include Unique in 1904, Jackson and Pope-Toledo in 1905, Buick, Cadillac, Franklin, Pullman and Stoddard-Dayton in 1906, and Atlas, Chadwick, Elmore, Lozier and Rambler in 1907. Packard is reputed to have used brass script on their trucks from 1905 also. 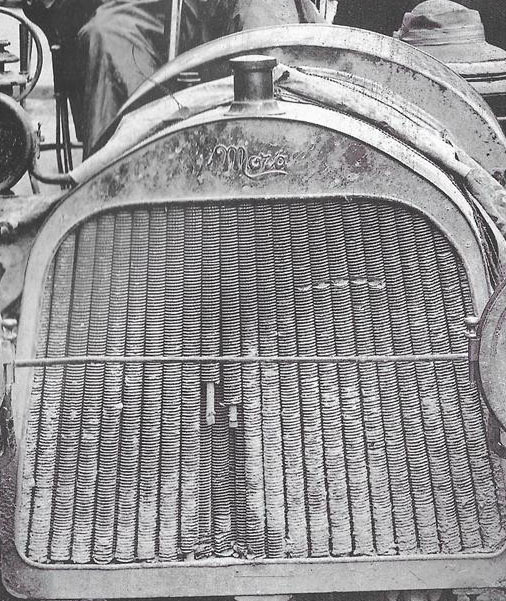 By 1909 brass radiator scripts were commonplace and continued to be used for many years thereafter, and, in later years, were displayed together with emblems on the radiator tank top. Perhaps the earliest known reference to an emblem designed for an American motor vehicle was for the Autotri motor car built by Cadwallader Kelsey and Sheldon Tilney in 1898. It was planned to put the Autotri into production and a logo was designed but vehicle production did not follow. Autotri serial plates showing the logo were certainly manufactured and photographs exist of an Autotri emblem but these were never used on a vehicle. 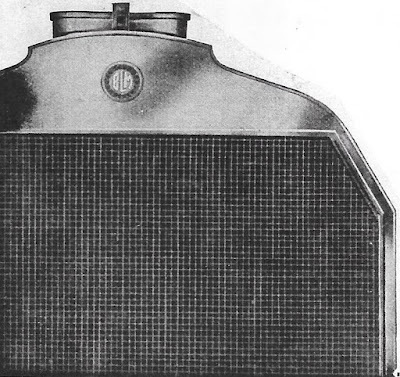 Examples of the early use in America of emblems attached to the front of the radiator tank top include Peerless, which had a small brass plate attached to the center of the radiator tank top as early as 1905, and the Thomas Flyer, which had a small brass “Thomas” script soldered onto the tank top in 1906. A brochure for the B.L.M. car, which was produced in small numbers between 1906 and 1907, clearly shows an emblem in the center of the radiator tank top and Reo had a painted brass emblem in the same location in 1907 and possibly earlier. Studebaker-Garford also used a painted brass emblem on the radiator tank top in 1907 in addition to a brass Garford script on the radiator core and a small Studebaker nameplate on the side of the vehicle. Brightly colored radiator emblems finished in glass enamel were first used on motor vehicles in America around 1907 and 1908, although enamel radiator emblems had been used in Europe for some years before this. There may have been a few low production American motor car manufacturers, probably with European connections, using enamel radiator emblems in the mid-1900’s but this has not been confirmed. 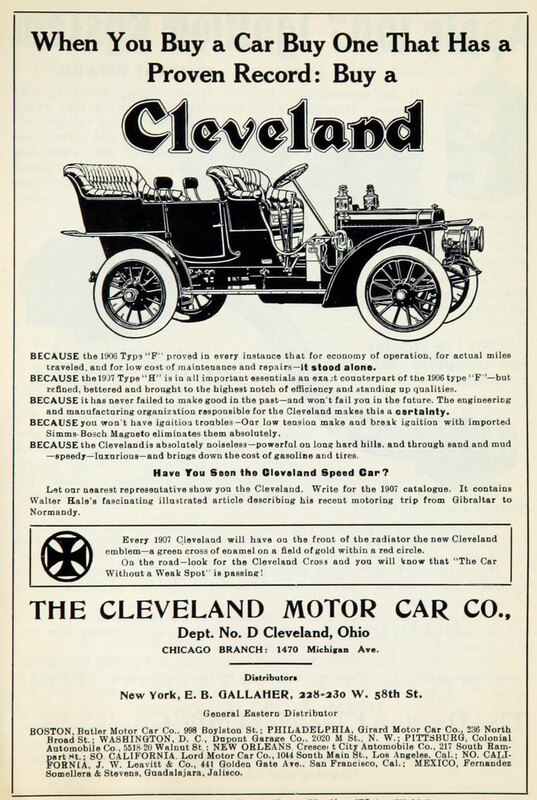 The earliest American cars known to have used enamel radiator emblems include Cleveland, which advertised its enamel radiator emblem in 1907, Premier, which was using its enamel oak leaf emblem in 1908, and by 1909 Chalmers-Detroit, American Simplex and Stevens Duryea were also using enamel radiator emblems. 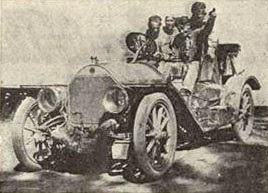 A photograph of a Tincher car taken in 1908 shows a radiator emblem but it is not clear if this was enameled or painted. The use of enamel radiator emblems became commonplace from 1910, although some manufacturers continued to use scripts or plain metal emblems for many years. 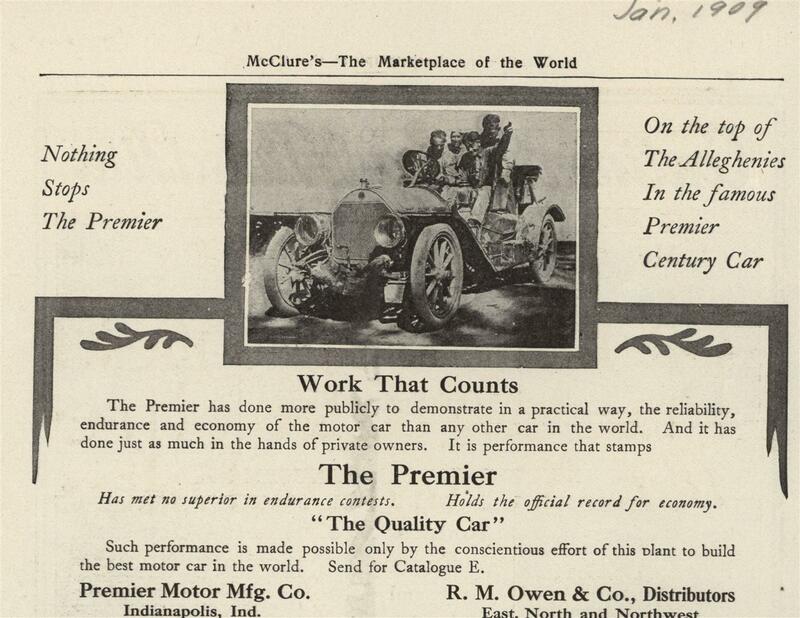 Packard, for example, used script as late as 1928. Beverly Rae Kimes records in the Standard Catalog that Premier claimed that "the oak leaf on its radiator badge represented the first use of an emblem as an automobile trademark". This claim is not supported by the evidence and but it is clear that the Premier oak leaf was one of the first enamel radiator emblems to be used in America. The use of emblems and other insignia on motor vehicles grew rapidly from about 1910 onwards, particularly in the 1920's, with a wide variety of colorful logos, see examples below. Colored emblems were attached not only to the radiator grille or shell, but also to steering wheel centers, hub caps, motometers, trunk lids, hoods and elsewhere on the bodies of vehicles. Enamel emblems continued to be widely used into the 1940’s but by the 1950’s colored plastic had begun to replace glass enamel for the manufacture of motor vehicle emblems. This trend has continued and, although there are exceptions, today most emblems have lost their previous intricate and colorful designs in favor of simple colored plastic logos. However, fashions change and who knows what will be the emblem designs of tomorrow.